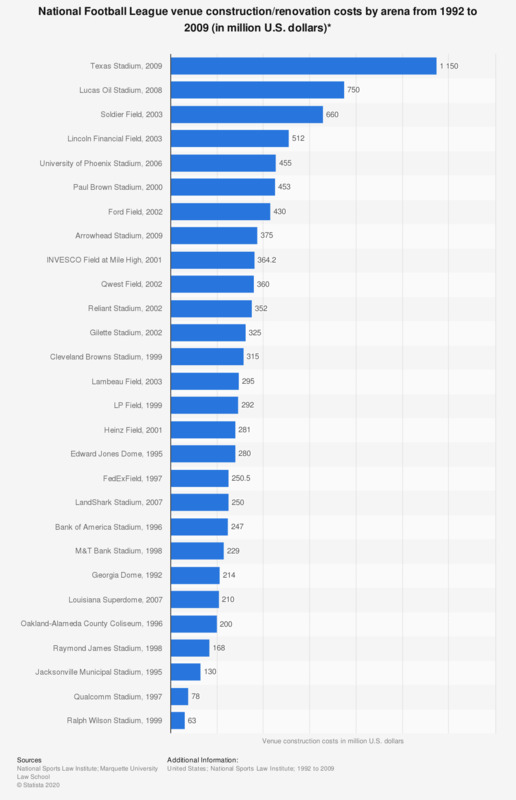 This graph depicts the construction and renovation costs of National Football League venues that were either newly built or renovated from 1992 to 2009. Construction costs for the Bank of America Stadium in Charlotte, built in 1996, were about 247 million U.S. dollars. * All figures are estimates. The year given is the opening year of the facility. All venues were either newly constructed or renovated.